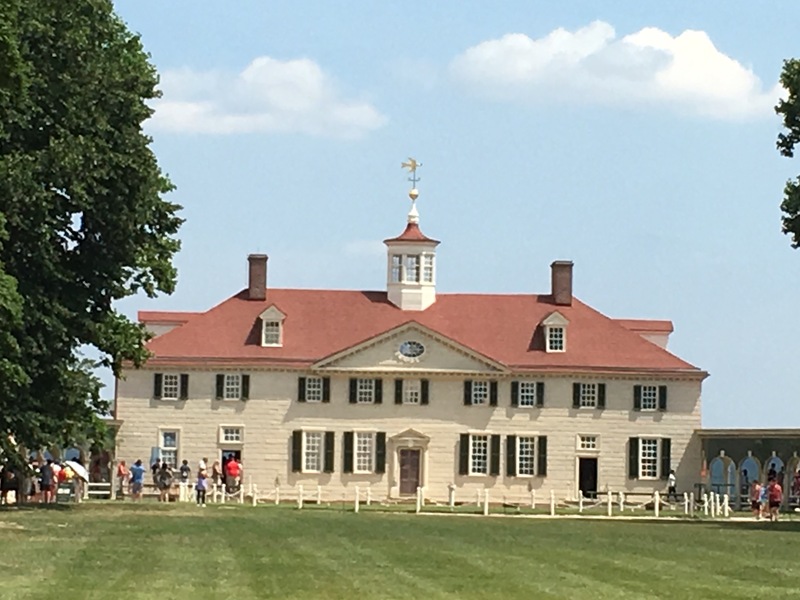 Today (7/12/2017), I headed into Mount Vernon to catch up with some dear friends from high school who made the sacrifice to drive a few hours to see me and suffer the heat to visit with me. Because of morning commitments, they were going to be later in the day, so I made the hour drive a bit early so I could do some research before they arrived. 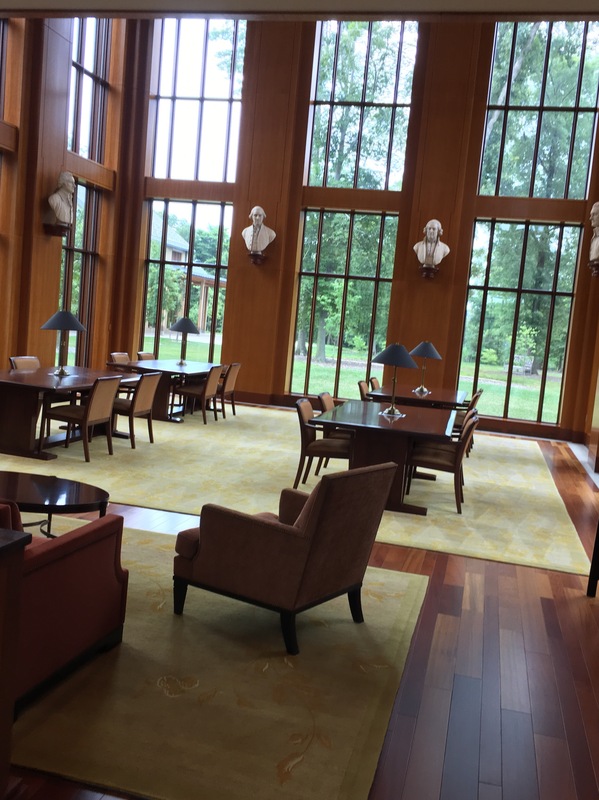 When I arrived, however, I discovered that the research area had been moved from Mount Vernon itself to a library across the street–closed to the public until November, except by appointment only. (My second time to be stuck in that situation.) But, once again, the helpful people at customer service made arrangements for me to be able to go over to the library. After going through intense security (having to be buzzed in at two different entrances), I arrived at the new facility. I’m sure I could have spent hours, but I only had about an hour before my friends arrived. The librarian gave me a list of databases and helped me navigate their collection. Right away, I found an amazing collection of George Washington’s memories of the French Indian War, and found it is still in print, so I ordered it from Barnes and Noble. I also found a hardcover collection of the writings I had spent hours in Williamsburg reading online (Though this one ran almost $200–But, I discovered my home library may have it.) While I didn’t really find anything new, per se, I found amazing resources to peruse at home, so it was definitely a great stop. 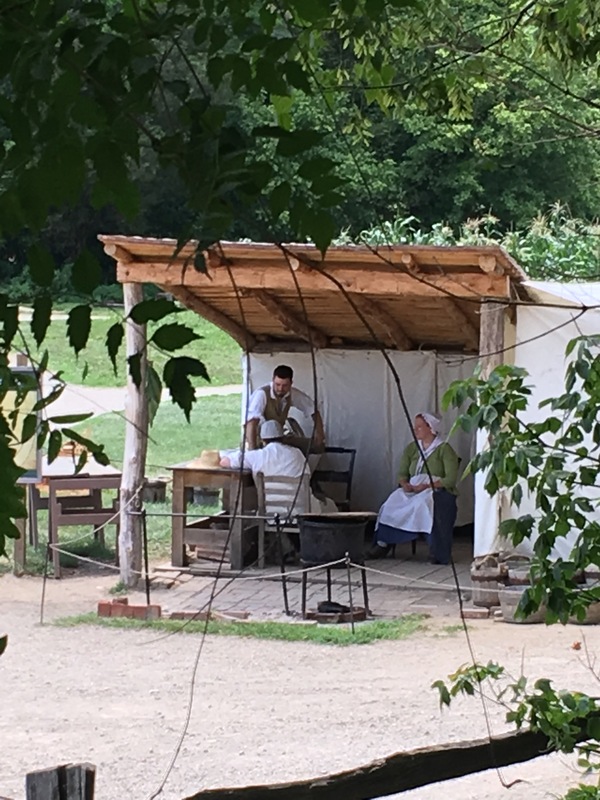 Then, it was off to Mount Vernon. While it has been a while since any of us were here, there was so much I remembered and loved. The grounds are beautiful, the wharf was neat to see, as were the gardens and farm area (though the walk back up was rough). My favorite Mrs. Washington wasn’t there, which was a disappointment, as she is always a highlight. But, the thing that struck me the most was the tour itself. I jokingly called it the turbo tour. While they had narrators in every area of the house, we actually spent less than a minute in any room. We were shuffled along, catching only scattered pieces of information as we hustled through. Yes, it was cool to see, but we wanted to learn. I don’t know if I’m romanticizing my previous visit, but I feel like we lingered longer last time–that we had an actual guide who took us around. As we walked out, discussing the turbo tour, one of my friends pointed at the line, and said, “Yes, but imagine how long we’d have to wait if each group got an individual tour.” I don’t know–somehow, I feel there has to be a better way to get the information. Perhaps that’s what the Premium Tour covers. All in all, it was still a good day, and as Jenny Roberts commented on Facebook, “That place is where history really hit me once. 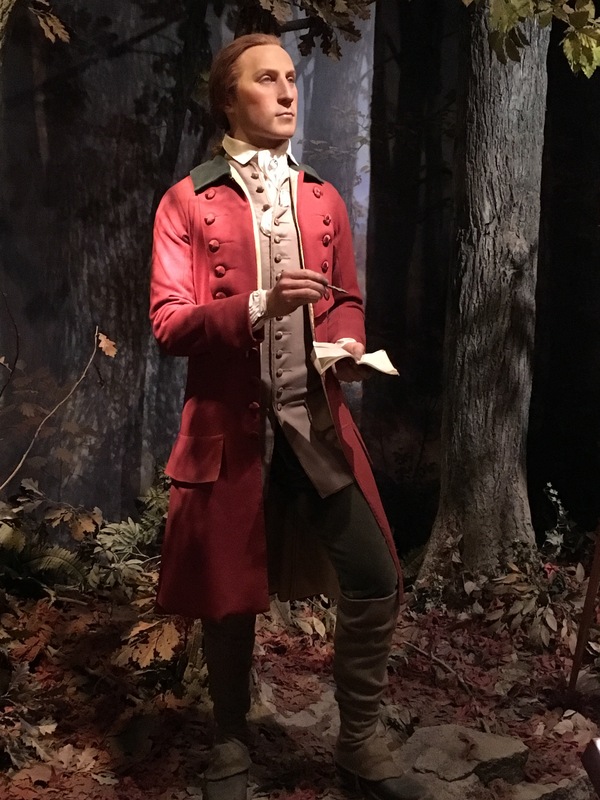 Standing in the dining room, it became very real to me that George Washington himself had stood there, too!” I’m hoping more people can slow down long enough for it to hit them too.